Is French Oak Corking Your Wine? Are those months of respite in French oak barrels actually unhealthy for your wine? A controversial new study conducted by researchers at Lab Excell in Bordeaux and led by Pascal Chatonnet, posits that barrels can be a significant source of 2,4,6-trichloroanisole (TCA), the compound behind "corked" wines. The study, published in the Journal of Agriculture and Food Chemistry, says the problem is growing. But French barrel-makers are crying foul. 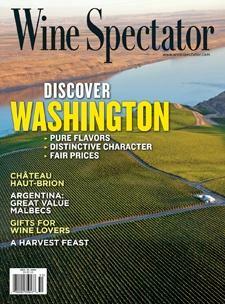 Wine Spectator editorial assistant Ben O’Donnell explains.